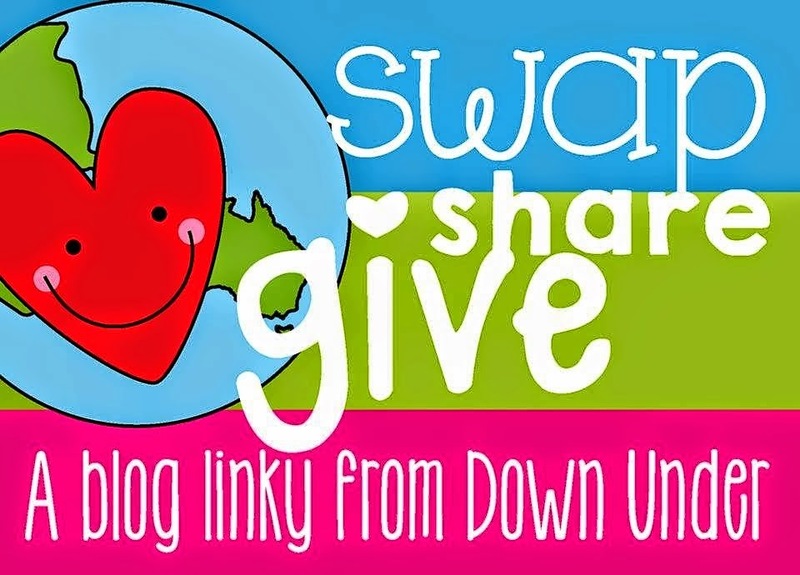 It's time again to link up with my Aussie Friends for a Swap, Share, Give Linky! How does it work? Well we have all been teamed up with a friend to Swap a Resource, then we will Share a Freebie with you, then Give you a chance to win all the packs swapped in our linky. Sounds pretty good, doesn't it! Firstly, I SWAPPED with Jem from Jem's Bright Buttons. Jem is a Foundation/Kindergarten teacher in Victoria like me! I live by the river, she lives by the sea - in one of my favourite cities actually! 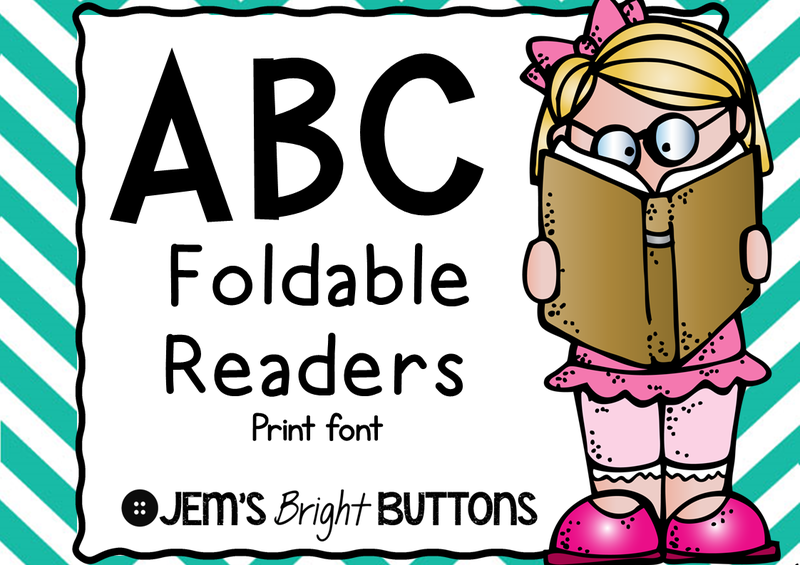 Jem let me have a peak at her pack ABC Foldable Readers and I LOVE it! First of all, she has two versions; one for teachers in Victoria, Australia and another for teachers in the rest of the world! 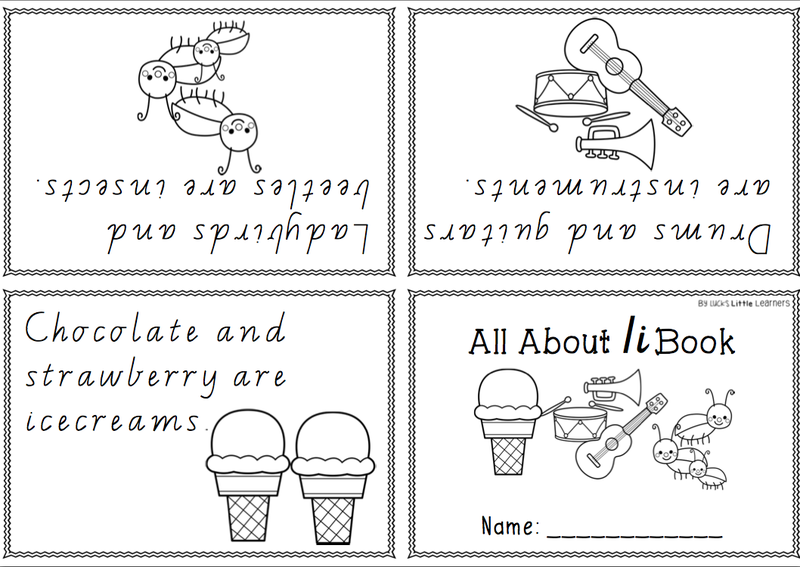 I'll show you an example of both so you can see the differences in font. 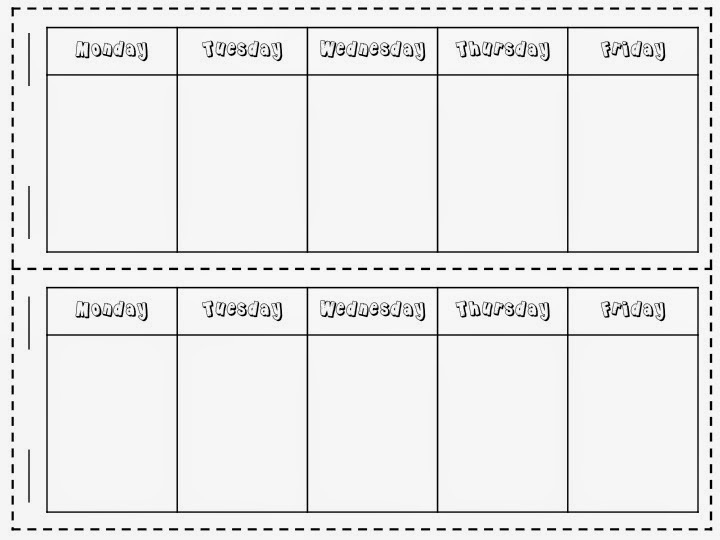 As the title suggests, included are 26 foldable readers to use in conjunction with your weekly letter/phonics study. 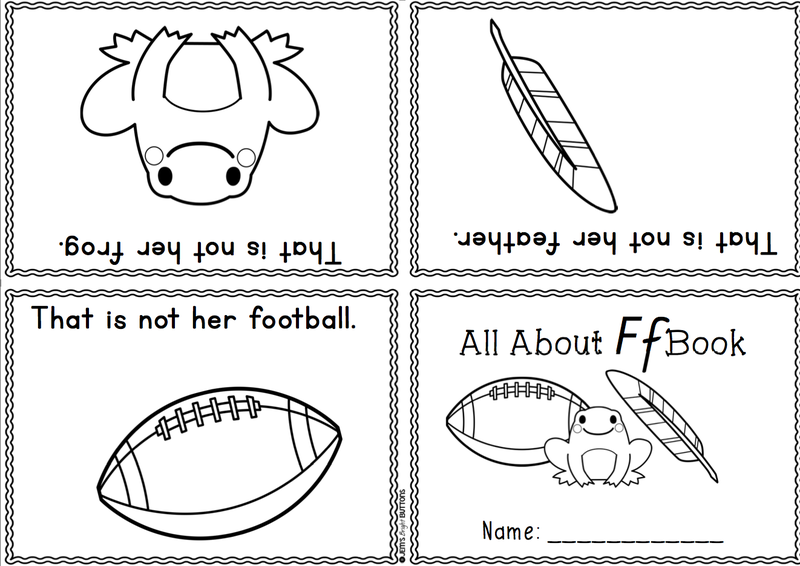 Simply print and photocopy and they are ready to use! 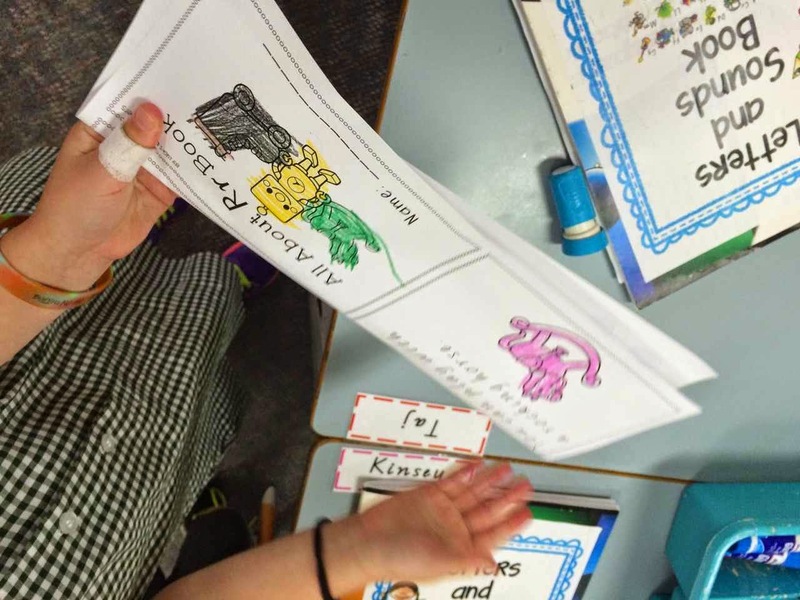 Perfect for literacy centres where you need children to work independently. Books can then be kept in book boxes for children to practise reading over and over again! Children also love taking books home to show off their reading to their parents! One of the best things is (other than that children can collect the whole set) is that each book is only one page each! You know how strict some schools are getting on photocopying so this is perfect! 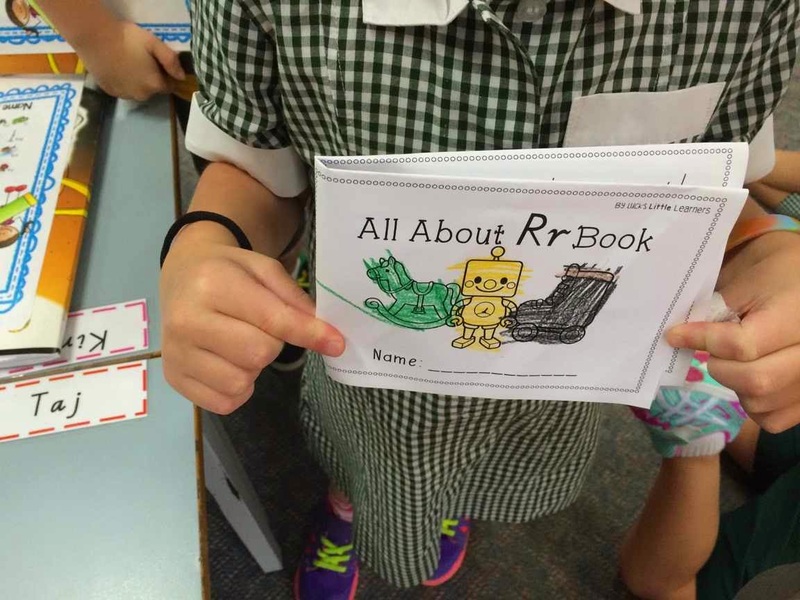 Very simple, an absolute bargain (only $3) and a hit in the classroom! You can download your copy here. You can download the Victorian version here. Next, here is my FREEBIE for you! Everyone likes talking about the weather, have you ever found that? Whenever you aren't sure what to talk about, what do you discuss? The weather! 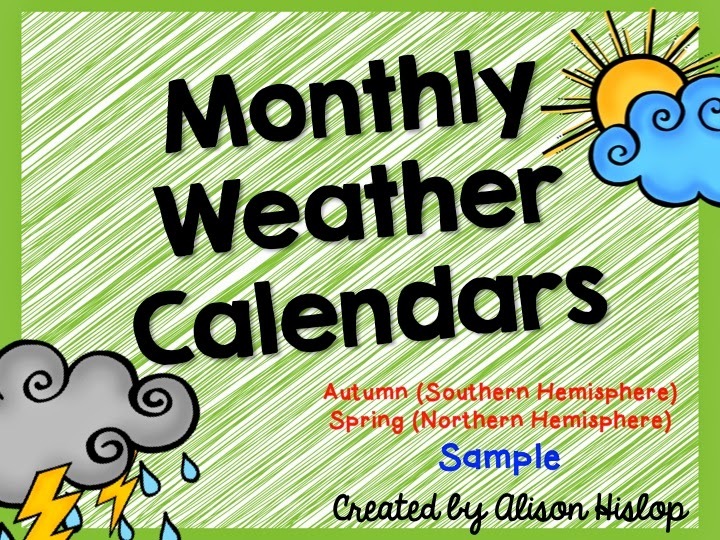 Well this freebie is for use in K-2 classrooms for recording daily temperatures and drawing pictures of the weather outside. 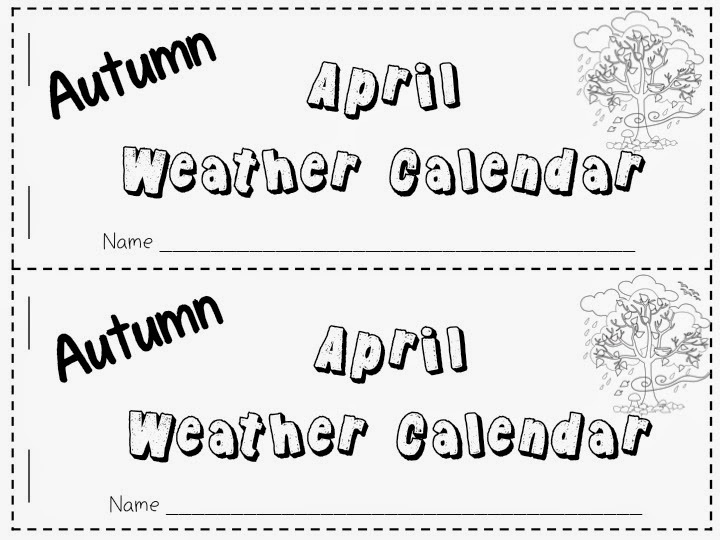 I have included the "Autumn edition" (Southern Hemisphere) and "Spring edition" (Northern Hemisphere). 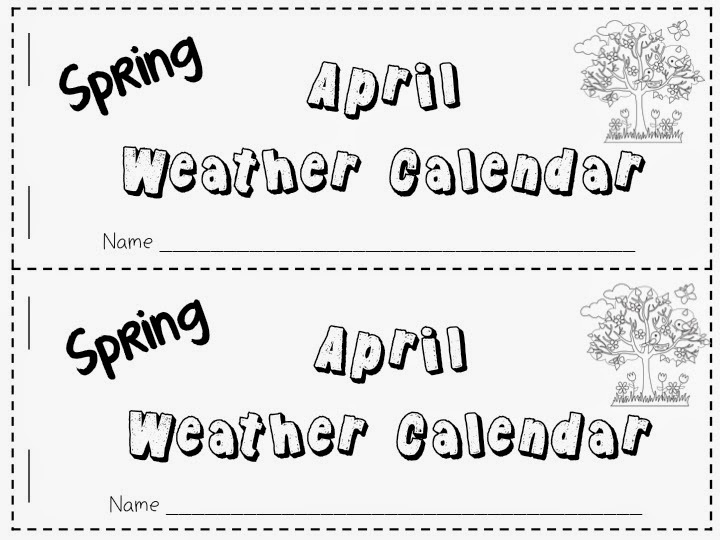 Simply print, slice and make each child a booklet for the month. If you like the idea of having this pack handy for use year round, you can purchase the full pack here. 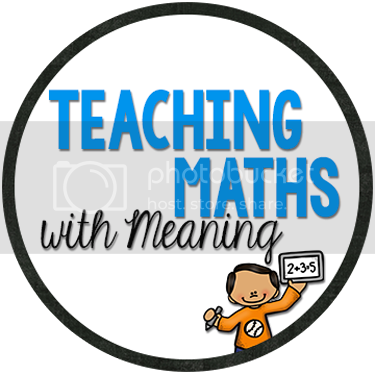 Lastly, head on over to Tania's blog Mrs Poultney's Ponderings to see who else has linked up, what freebies you can score yourself and enter our rafflecopter below! 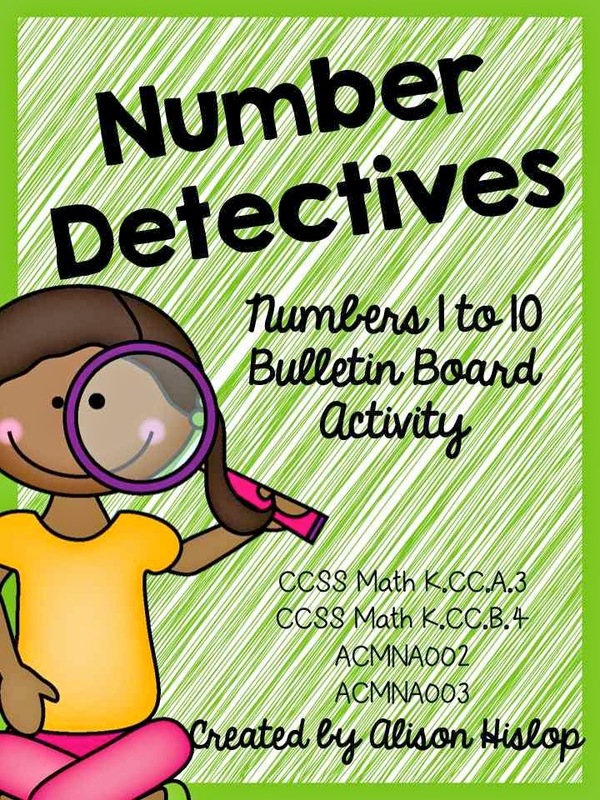 I am giving away a copy of my Number Detectives Pack! Great post, and I'm so glad you enjoyed using these books!! The freebie looks excellent, I'll just pop over and download one for myself I think! 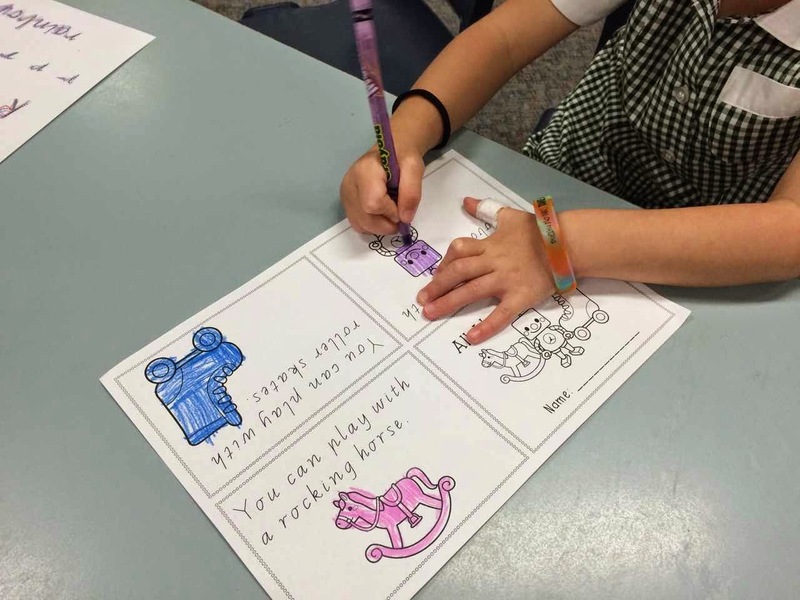 The product from Jem to learn and consolidate the alphabet looks great, they look simple to fold and how wonderful to end up with a whole set to go over as you need in your grade. Your weather freebie is outstanding. They look like great little readers and also a good idea to send them home for consolidation. Thanks for the freebie too! Love that the reader uses only 1 page per child, and the sentences use high frequency words and familiar patterns. 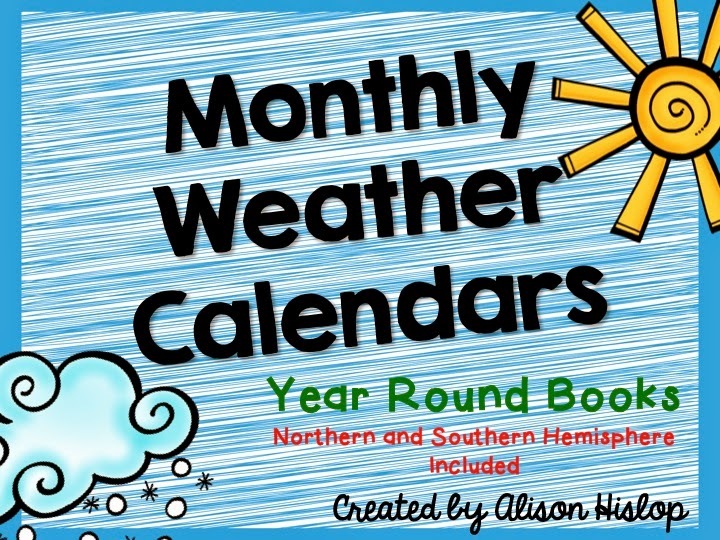 :) Thanks for the weather freebie - my kidlets love giving the 'weather report' each morning so I know they would love their own booklet! 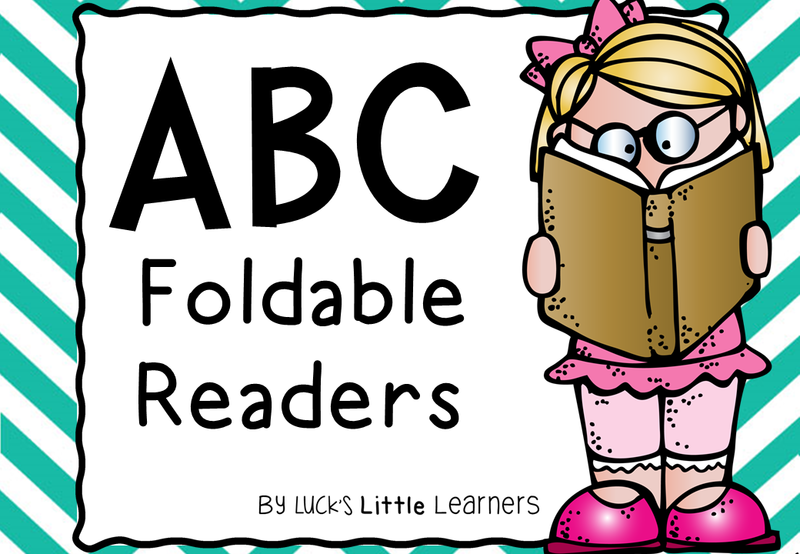 I love little readers that can be made with a single page per child! Thanks for the weather freebie. That will definitely come in handy for this term! What kid doesn't love making there own little book? These are adorable. I love how they're in both fonts too. Those little books look very handy and kiddos love taking home books to read to whoever will listen to them :) I love your weather books too! Very timely with all the crazy weather there has been. Wow! What a bargain those books are! They look great as does the freebie! Thanks ladies!